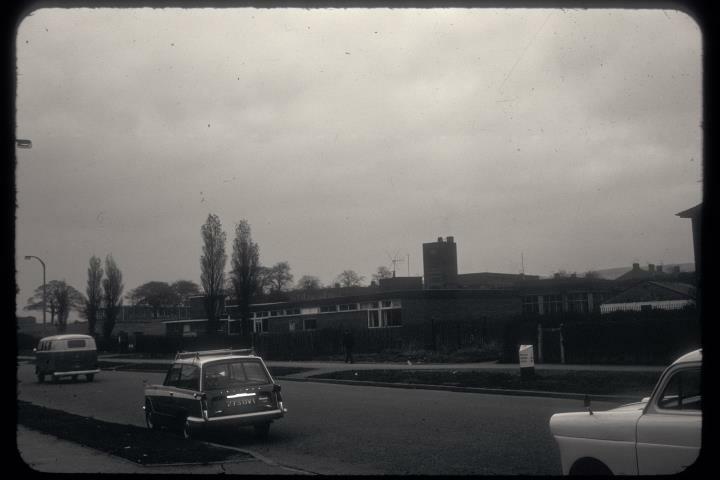 Description:The Leek Road frontage of Carmountside Junior High School, now demolished. Originally Carmountside County Secondary school, opened in 1938, the school occupied part of the site of Hulton Abbey. 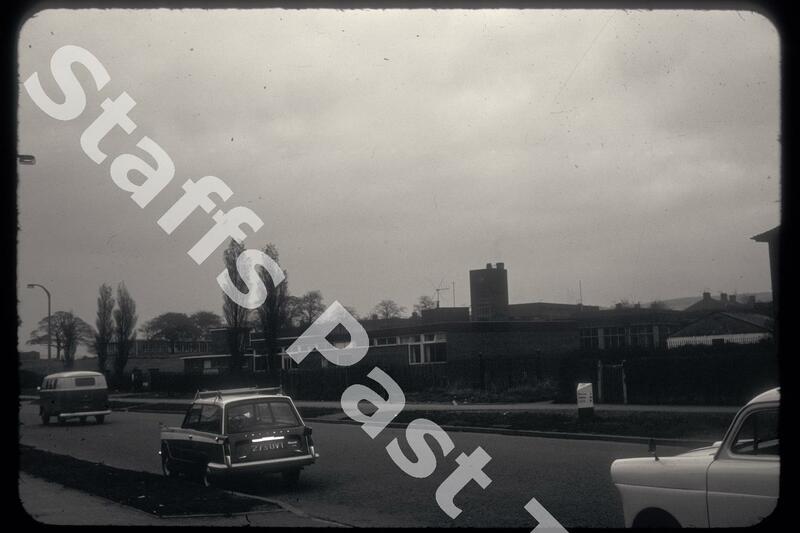 The clock tower on Woodhead Road side of the school is in the centre.